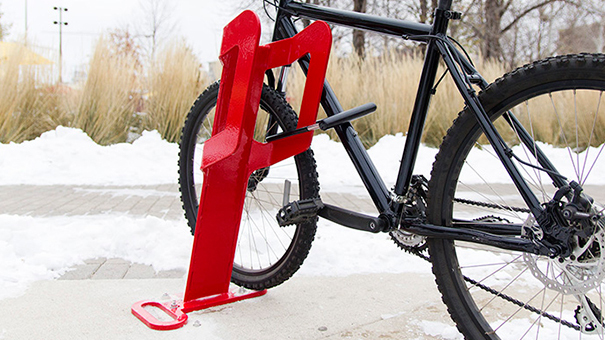 The Cycle Dock™ bike rack is designed with both form and function in mind. 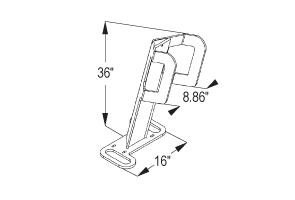 The dual U-Lock arms along with the laser cut wheel stops provide three points of contact for a stable and secure connection to the rack. The extra wide spacing of the arms also decreases handlebar conflicts when two bikes are parked. 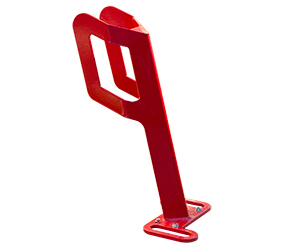 The Cycle Dock™ can be installed singly or in groups to suit your bike parking needs.